i just got mine last week...and just started noticing this annoyin high pitched noise from the screes...anyone else have this problem..any suggestions to how i would fix this? Does anyone know if it is possible to do tv-out (viewing treo screen on tv) from treo 650? Is it supported by Treo. If ever, is there a cable used to connect? Please let me know. Thanks! You can use 2 GB of memory card in Treo 650. You can produce Office documents using Documents to Go. In fact, you can create MS Word docs (.doc), MS Excel spreadsheets (.xls), MS Powerpoint presentation (.ppt), Text document (.txt). Aside from creating, you can obviously view and edit the foregoing files plus you can open PDF files, jpg, etc. Hassan, you need a software to send mp3 files via bluetooth. You can use FileZ, a freeware downloadable from www.nosleep.net, or ZLauncher, a shareware downloadable from http://www.zztechs.com/en/zlauncher.php. In FileZ, tap "View and Edit Files", then tap the files you want to send (can be any file---mp3, video, pics, apps), then tap "Send", Send with "Bluetooth". In ZLauncher, tap the menu, File Manager, tap the file you want to send, tap "Send", send with "Bluetooth". its cool an sober cell put i wana ask one qtn that how will we send any mp3 file via bluetooth please send me procedure my mail as soon as possible i will b thank full tou,cuz i am facing lots of probs his. any firmware avail. 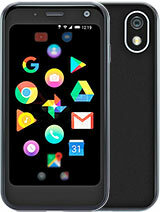 for this phone? Any good website for the 3rd party programs? Experienced a lot of reseting while trying to pick up a call...Sometime it works sometime it does not...Bluetooth does not want to accept any files.. it says connection fail etc. this phone would've been better if it had a better camera(probably with flash) & WIFI. it has all the good features of a pda phone except for this 2 things. relly hoping that palm would come up with a phone as great as this with wifi & better camera. This phone/PDA has all the great features when the phone works correctly. We purchased a brand new unit in Oct. 2006, unlocked, and immediately we started having problems with the phone/pda reseting on its own or shutting off. We also ran into email problems prior to calling support. Support at Palm/Treo was called within two weeks of purchase...at least several times, each time them trying one type of reset or another type of reset. Nothing worked. The brand new phone was sent back in and replaced. Within 1 week of operating the replacement, we had similar problems, again called support and they reset they advised to reset the phone in a couple of ways. This happened another two times, and the final straw was the 1st week of Jan. 2007, the phone again started to reset on its own... while just sitting there, not being used, then the Bluetooth started to work funny. We tried another two cell devices to determine if the Bluetooth headset was working correctly and there were no issues with the other two brand of phones. What is disappointing the most is that I am not a huge time user of the phone or email. Probably 20 emails were sent successfully and maybe 200 minutes in total cell time in the two months of having the two Treo's. Support always want to do the same of two or three ways to reset and the problem still came back. It is a huge disppointment to spend the money for this PDA that has these consistent malfunctions. I also wonder why a Large Cell phone company in Canada no longer carries the GSM phone for sale? The support is superficial for those whom have used cell phones since inception. The questions they ask clearly make you wonder about the time and effort that went into engineering the Treo 650. In 18 years of having various cell phones/pda's... I have never experienced such a malfunction product with poor support to correct than the PalmOne Treo 650.
a very good phone. battery life is great. bought a treo 680 but after 1 week of use with its very short battery span, sold it & got back to my black treo 650.
how much memory can hold? can the 650 be set up with an sdio (wlan) card? on several websites they claim it can... but i've heard wi-fi can only be used with the 700..
i am about to swap my p910i for the treo 650. I however love mp3s for ringtones,large memory,etc i love to write with the stylus..is the treo able to do these and isit better. It can create, read, edit, and delete *.doc and *.xls files. wifi card is available, but treo 650 lacks driver to detect the card.